Sky Leisure Aviation is a CAA and AOPA approved Flight Training Organisation (FTO). We offer training through to the JAR PPL qualification on our fleet of Cessna and Piper training aircraft. Initially you may wish to try out a lesson in each aircraft, and then you can make an informed choice (with your instructor) of which aircraft suits you best. The main requirement a pilot needs is dedication to achieve your goal! Mistakenly many people believe that you have to have a lot of qualifications, or some special skill before you start a course of PPL training. This is not the case. The PPL course comprises of both flight and ground training. As with driving, you have to know the rules governing your vehicle’s movement, which we call the rules of the air. This is one example of the ground training required. Further ground study is required to develop your theoretical knowledge of subjects such as the weather and navigation using aeronautical charts. You will also learn how to communicate with Air Traffic Control via the radio. Of course the most exciting part for most people is the flight training, where you develop your practical handling skills. Instruction is given on a one to one basis with one of our dedicated instructors allocated to you for your course of training. All instruction follows the European Joint Aviation Authority’s approved training syllabus, which requires a minimum of 45 hours training to be undertaken. As each student will be different, Sky Leisure’s instructors will individually evaluate each person and regularly advise you of your progress. All lessons also include full pre-flight briefings and debriefings. A minimum of 25 hours dual instruction will be undertaken. This includes all basic exercises in aircraft handling and airmanship to take the student through to First Solo, which is usually achieved between 12 and 18 hours total flying time. 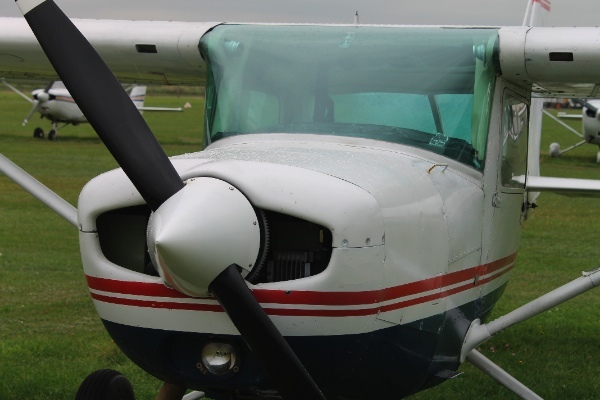 Further dual instruction covers advanced turning, emergency and precautionary landings, instrument appreciation, navigation and landing away at other airfields. Training is normally carried out in the airspace across Sussex between Beachy Head and Selsey Bill, with cross country flying to airports selected from Lydd, Manston, Headcorn, Southend, Blackbushe, Goodwood and the Isle of Wight. Towards the end of your course you will fly with your instructor to Bournemouth International Airport. This will enable you to gain experience of flying to a busy major airport and into the associated controlled airspace. Once you have mastered the art of taking off and landing you will be sent on your first solo flight, which will be one circuit of the airfield. Prior to this you must have passed the Aviation Law and Human Performance and Limitations exams, and have attained a medical certificate from a CAA approved medical examiner. (This is a fairly basic examination and does not normally present any difficulties). Having mastered the techniques involved in cross-country navigation, you will be sent on your first solo navigational flight into the local flying area. Before this flight you must have passed the Navigation and Meteorology exams. On completion of your course, you will have done at least 10 hours solo flying, including 5 hours of solo cross-country flying. This will also include your qualifying cross-country (QCC) flight of at least 150 nautical miles where you will land at two other airfields before returning to Shoreham. Prior to the QCC flights you will have passed the Communications written and practical exams. A total of 7 multiple choice ground examinations must be passed before taking your skill test at the end of the course. You will already have passed the first 5 written exams and the Communications practical exam prior to your Qualifying Cross-Country flight. This tests your understanding of the rules and regulations of aviation (similar to the Highway Code for drivers) and is designed to ensure safe flight for everyone. This expands your understanding of the effects of flight on the physiology of the body and explores psychological effects too. Because a pilot does not have a road to follow we can fly directly from one point to another, most of the time! This requires us to be able to follow a line drawn on a chart using visual navigation techniques. You will also discover that there are clever items of electrical radio equipment that can help you too in the right circumstances. It is preferable that this exam is completed before you start the cross-country navigation flying, as it gives you a thorough understanding of what you are trying to achieve. From the very beginning of your training you will start to develop a greater appreciation and understanding of the weather from your flight instructor. It is most important that you appreciate the effect bad weather can have on your flight. Conveniently it is a subject many us already have a great interest in! We never go flying without taking account of the weather. This exam tests your knowledge of how an aeroplane flies, what makes it work and the technical names of some of the parts. A fair proportion of this information you will have learnt from your instructor along the way. Unlike some cars one can see on the road, we cannot simply load the world and his wife into an aeroplane and expect it to take us safely on our way! Two of the important areas the study for this exam teaches you, amongst others, are how to properly load your aircraft and make sure you have enough runway to get airborne. It is quite a simple procedure and your instructor can show you how to fill in the relevant form. All examinations are conducted on site and can be arranged at any time when the student feels ready, and are marked immediately. Study books and practice questions are available from stock for self-study of all examination subjects. Instructors will always be available to answer any questions you may have on a particular subject. You will probably find that your own self-study is all that is required to pass the ground exams. 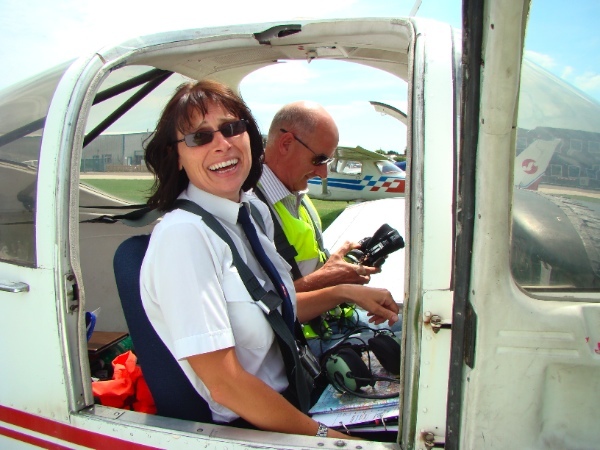 However if you do need any in depth assistance then one-to-one ground school with your instructor can easily be arranged. This will be tailored to your requirements. After completion of all of your flying training and ground exams, you will take a skill test with a flight examiner. (This will normally be with our in-house examiner).